Skywatch Friday. . . . 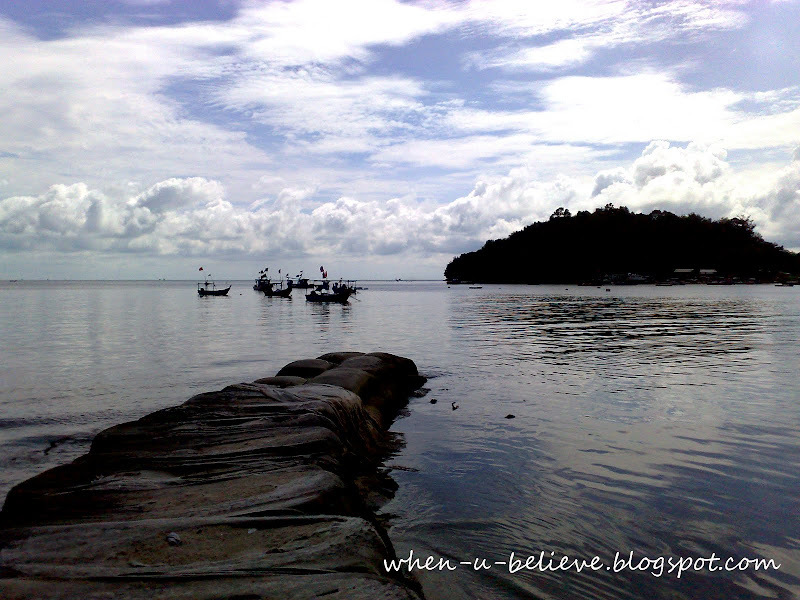 Took a picture with my cell phone during a holiday in Penang Island last year. For more scenic sky watch pictures around the world, click here. You took that with a cell phone? What a great picture! you have such a cute blog! Even a cell phone can take a good picture if you are skillful. The scenery is perfect for a postcard. Is this the fisherman village they call the end of the world? Wow, so beautiful. I think I need a better cell phone. That is a FABULOUS shot from a cell phone! Looks like a wonderful place! the capture is so clear. You got a good cellphone with higher pixels maybe. Nuh-uh!! A cell phone! Wowzers...it's incredible! Lovely shot! Love this pic. The dark silhouetted boats and island... the composition is great! That is a gorgeous photo, and taken by a cell phone! Great job!! Thanks for your comment on my toad photo, I also joined in SF this week, its been a while! Have a great weekend! Great composition and capture from your high tech phone. RYC: the flowers are called black eyed daisy. Beautiful scene and a gorgeous sky! Happy skywatching. Stunning shot. I love the reflection in the water. lovely to get that with a cell phone . Wow! Great photo, what a beautiful place to vacation. The low clouds look like fluffy white mountains. Beautiful sky and a great landscape! You have an amazing cell phone! what were the people waving in the boats? That's a really beautiful spot. The photo is especially good from a cell phone. i love how the clouds formed. it looks like a giant puff of smoke. and the surrounds are gorgeous. This is about sharing little pieces of your everyday life with people all over the world. There will be a new theme each week. The theme will be presented on Sunday and then you have the whole following week to post your picture. I look forward to see a house from the place where you live. Great phtot and with a cell phone! You must have one amazing cellphone! THis photo is gorgeous! Since I believe, I am following you. Ha ha. I have two cameras. One very small one for my purse and a bigger one. I get some amazing photos with the little one. I try not to go anywhere without a camera now. I like the photo you took with your cell phone, it is a very beautiful photo!